skills in a percentage from zero to 100.
better the match, and jobs with higher skills match scores will be shown first. 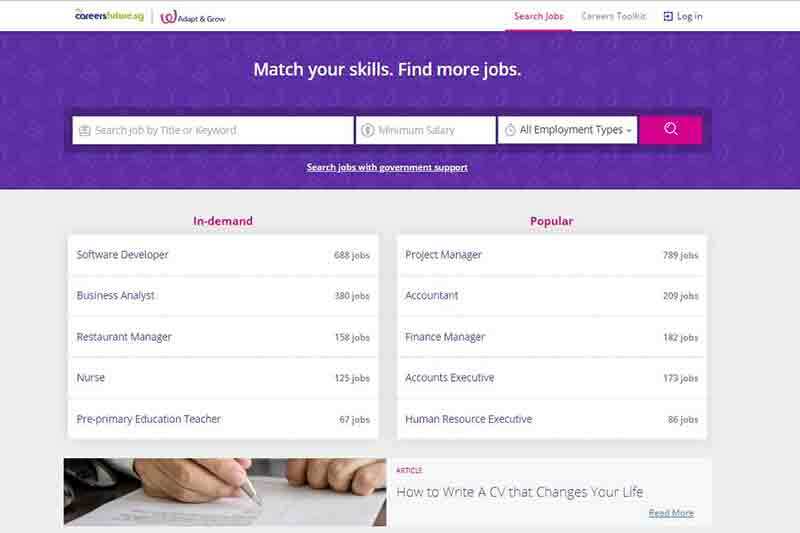 will allow employers to indicate core skills needed for each role. jobseekers may not have considered but match their skills. MyCareersFuture.sg is developed by Workforce Singapore (WSG)and the Government Technology Agency (GovTech). out and only serve as a jobs repository. find the right opportunities in the next phase of their careers. year. As of the first week of April, the portal has received 280,000 visitors. was mentioned by Second Minister for Manpower Josephine Teo in March this year. 25% in 2016,” she said in the Parliament session. doubled from about 5,000 in 2016 to about 10,000 in 2017. Support Programme (CSP), and Adapt and Grow initiative.